Tangled and True: a family tale. Good Stock was Tangled and True's fifth (ever) post. So I thought I would re-introduce it since we had about 2 readers back then. And because I think it's an amazing project/concept with a fantastic website. Good Stock is all about family. And story telling. "At Good Stock, we believe that every family has character and it doesn't take a writer to craft a lovely tale. All it takes are memories." 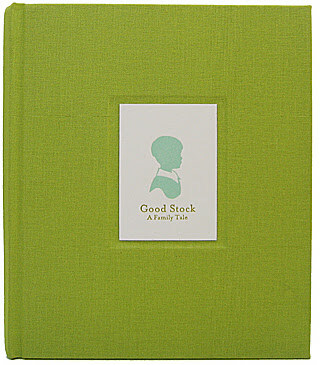 Good Stock is a press and bindery that allows you to create your own book. Features include "a family tree, vignettes about family members, and vintage illustrations. Printed on archival paper and beautifully bound with fabric and a letterpress book label." I can't wait to try it some day. When my family has grown as well as the number of memories and stories that prove book worthy. I'm counting on it! see jane work. work jane work. reader post: comfy and cute.